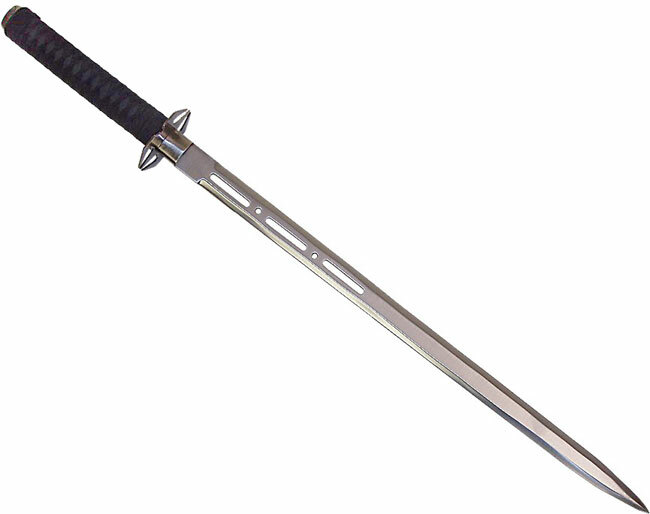 Then you launch some graphics programme(GIMP, Corel draw, PhotoShop) and choose some areas on the sword. Then just make them bigger and blur them. 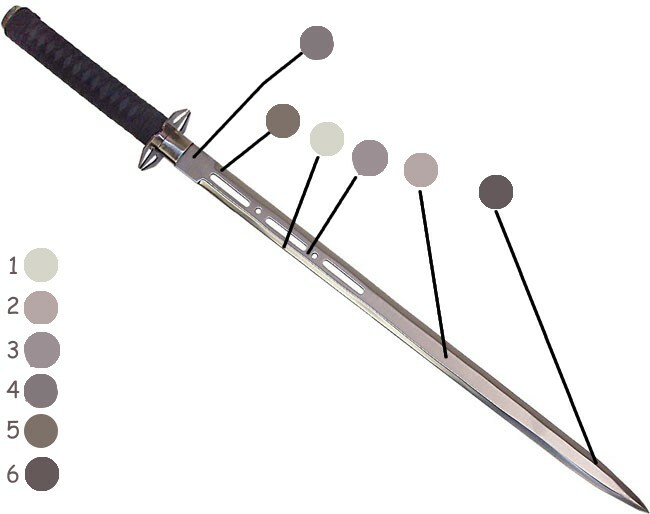 You already have colours pallete for your mini's sword!